Editor's note: Initially, Vancouver Coastal Health said there were eight cases. They were not, however, counting a ninth case identified earlier this year and not related to the cases. This article has been updated to reflect that there are nine known cases this year. Vancouver health officials have identified nine cases of measles in the city in recent weeks. Speaking at a news conference Friday afternoon, Vancouver Coastal Health's Dr. Althea Hayden said it was determined that all cases are associated with a single school. "We now have an outbreak," she said. Hayden said patients include staff, students and family members affiliated with École Jules-Verne, a French-language secondary school. 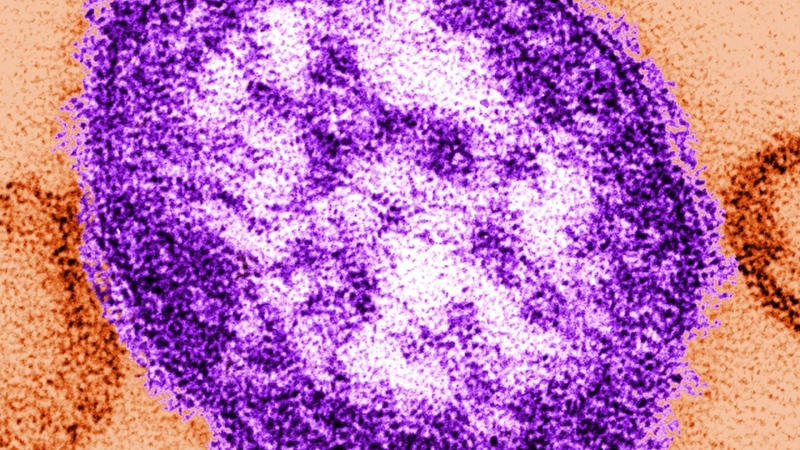 "We have determined that measles was brought in to this community through travel outside of North America, and it is unrelated to the case that was reported earlier this month in a gentleman who had returned from the Philippines," Hayden said. She said local health officials have been trying to notify those who may have been exposed to the highly contagious virus, but they have not been able to reach everyone. Jan. 21 from 10 a.m. to 6:10 p.m.
Jan. 23 from 4:45 p.m. to 11:10 p.m.
Jan. 24 from 8:13 a.m. to 11:40 a.m.
Feb. 1 from 2 p.m. to 6:55 p.m.
Fortunately, most people in B.C. are immune to measles, and are unlikely to have gotten sick as a result of this exposure, but the virus does spread easily. It can linger in the air for hours after an infected patient has left the room, and can also be spread through sharing food and drinks. Symptoms start with a fever, cough, runny nose and watery eyes. These symptoms develop between seven to 21 days after exposure. Over the last two days, public health officials hosted vaccination clinics at Jules-Verne for parents, students and staff concerned about possible exposure. "This was for people who had already had the shots and just wanted to have an update, or weren't sure if they had both shots," said the school district's health and safety co-ordinator Karine Boily. "It wasn't that busy. I think most people have received the shots so they are already immunized, but some families did come just in case." A parent visiting the clinic Friday was happy with the school's response: "You always worry about that, but we did everything we could, and the school is doing as much as they can. Another measles case has since been confirmed at École Anna‐Hébert Elementary. In a letter sent to parents on Thursday, VCH said students and staff at that school may have been exposed on Jan. 25. VCH also said Friday that there is one suspected case at Ecole Rose-Des-Vents. “This is a developing situation for VCH as we are collecting information from people including parents and kids from the affected schools,” the health authority said in a statement. VCH is asking parents to call the public health line at 604-675-3900 to speak with a nurse if they think their child may have had the measles in the last three weeks. Should vaccines be mandatory for students? "My message today is clear. Get vaccinated. There's no excuse not to be vaccinated," B.C. Health Minister Adrian Dix said Friday. But he skirted the question of whether vaccines should be mandatory for students who attend public schools - the subject of a petition that has now surpassed 10,000 signatures. The province's top doctor said she's not in favour of mandatory vaccines, but there is one change she would like to see. "What I do think would be helpful for a variety of reasons is to have mandatory reporting of students' immunization status at entry to schools but also in daycares," Provincial Health Officer Bonnie Henry said in a phone interview. "That's an opportunity for us to connect with them, with children whose immunizations are not up to date, to inform parents and to work with them." It's a model she said she's seen work in other parts of the country and around the world. "That has been shown to be effective in bringing up immunization rates and then protection of all children," Henry said. She said making immunizations themselves mandatory can provoke people who are anti-vaccine, but an opportunity for education has been valuable elsewhere. Boily said most students are immunized, but because of how easily the virus can spread, there were concerns it may spread. Her advice to those worried about contacting measles is simple: "We remind everybody to wash their hands… if they feel sick, to connect with their physicians." While most people in Canada have been protected through vaccination, those who haven’t been immunized or need a measles shot can get vaccinated for free at City Centre Urgent Primary Care Centre. Family doctors and pharmacies may also offer the vaccine, but anyone who thinks they've been exposed is asked to call ahead before visiting an office or clinic.